IHF welcomed 9 Partners from 7 Countries (Belgium, Cyprus, Italy, Poland, Romania, Slovakia and Spain) in Brussels to launch ARTCademy. The Project treasures European craftmanship sector by preserving ancestral knowledge about possibly soon-to-disappear jobs and providing artisans and crafts with the very business tools and skills to survive and strive. At the meeting, Partners jumpstarted implementation defining the timeline and activities related to the structure of the Project web-platform and the development of the “CRAFTpedia”, the innovative repository of Artisan Knowledge. Partners also established the administrative structure for smooth project management and reporting. IHF’s role is instrumental in ARTCademy, bringing its expertise in European projects and featuring the “European Dimension and Perspective” in implementation. IHF will showcase and represent ARTCademy in Brussels towards EU stakeholders and Policy makers. 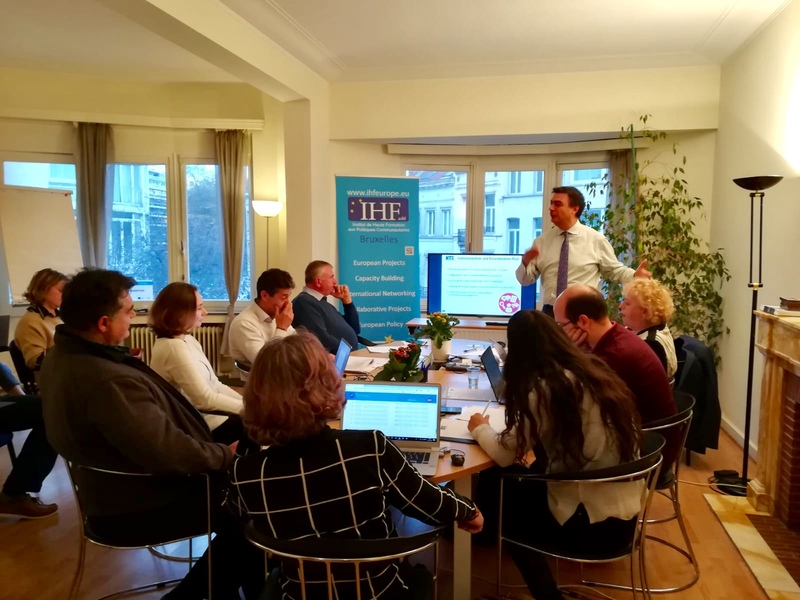 Based in Brussels since 2003, IHF has a proven track record in dissemination, awareness and training.